Through the magic of moss, anything is possible. Scientists at the University of Stockholm have discovered that Warnstofia fluitans, or floating hook moss, is capable of extracting arsenic from water. The miracle moss is quick, too – it can make water safe to drink in just an hour. Scientists hope to use the breakthrough to develop wetland areas that can filter out arsenic from mining waste to purify water for people, agriculture and animals downstream. “Our experiments show that the moss has a very high capacity to remove arsenic,” said research assistant and study co-author Arifin Sandhi. “It takes no more than an hour to remove 80 per cent of the arsenic from a container of water. By then, the water has reached such a low level of arsenic that it is no longer harmful to people.” Native to northern Sweden, floating hook moss offers a green, locally-based solution to a problem plaguing its native habitat. 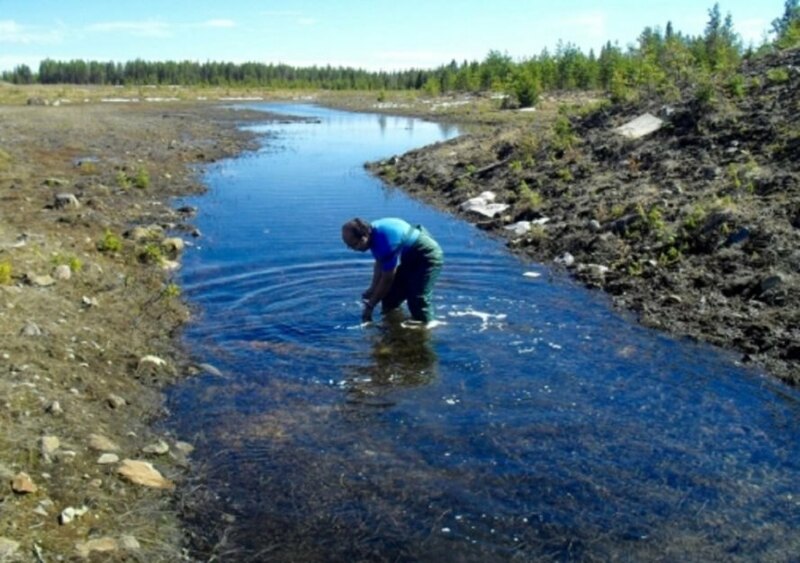 “We hope that the plant-based wetland system that we are developing will solve the arsenic problem in Sweden’s northern mining areas,” said study leader Maria Greger, commenting on the environmental legacy of the Swedish mining industry. Although the use of arsenic compounds in wood products was banned in 2004, the deadly element still infiltrates drinking water through mining, which exposes the water table to natural arsenic found deep within Sweden’s bedrock layer. Arsenic also poses a threat to agriculture, in which crops absorb arsenic-tainted water through their roots. “How much arsenic we consume ultimately depends on how much of these foods we eat, as well as how and where they were grown,” explained Greger. “Our aim is that the plant-based wetland system we are developing will filter out the arsenic before the water becomes drinking water and irrigation water.” The researchers envision the moss being applied to specific areas through its deliberate cultivation in streams and other bodies of water that pose a high risk of arsenic. Lessons learned in Sweden may then serve other parts of the world that also suffer from arsenic-tainted water. This looks like good science. Nice article, Greg. Thanks. A close-up shot of floating hook moss, which is capable of efficiently removing arsenic from drinking water.